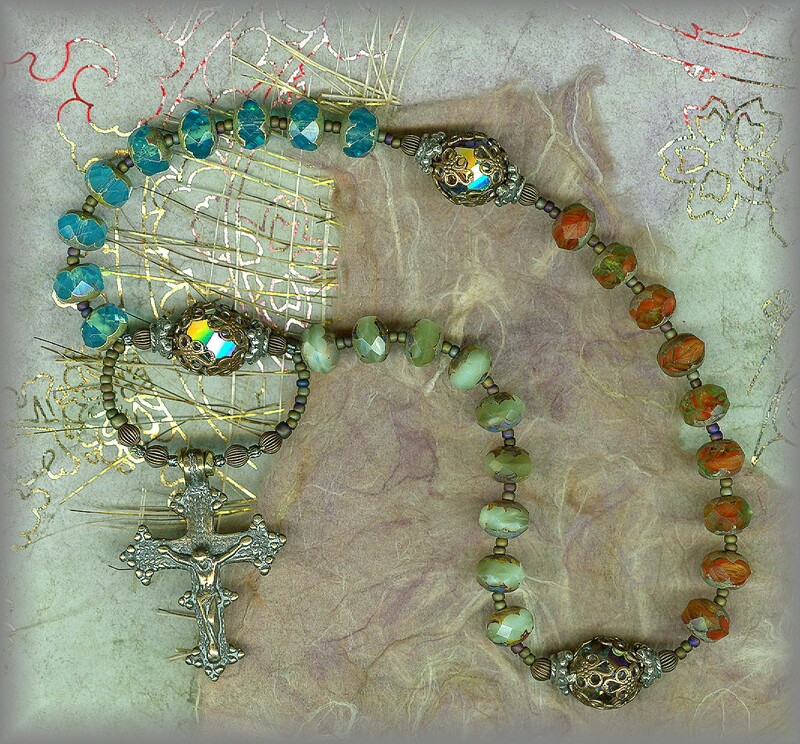 CDTR.51130 - (pricing) "... STRONG ONE"
CDTR.51140 - (pricing) "... IMMORTAL ONE"
learn about traditional chaplets with different counts and why. Each created for a reason, by a confraternity or religious order intended to bring the pray.er closer to the angles and saints. 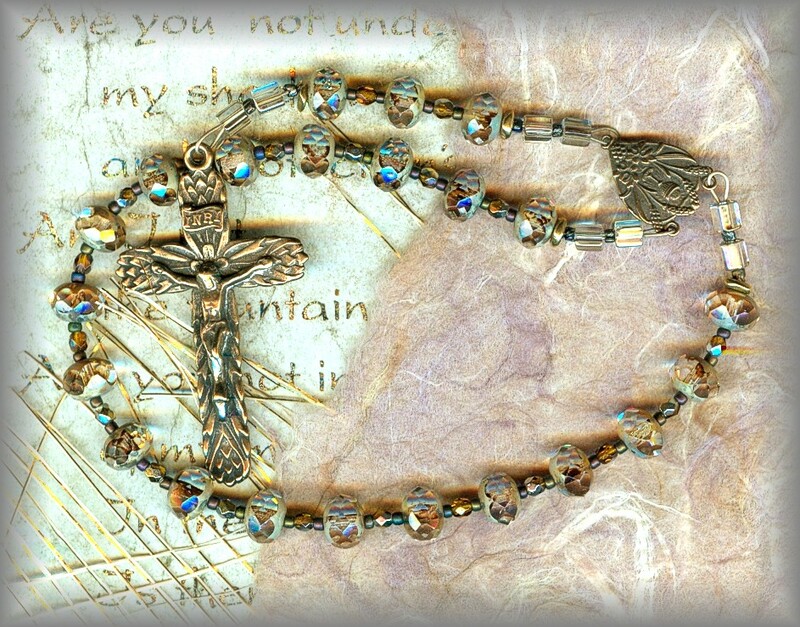 WHAT IS AN ANGELIC TRISAGION? Angelic Trisagion (Thrice Holy) Until recently, we had never heard of this prayer counter yet it is historically from Apostolic times. 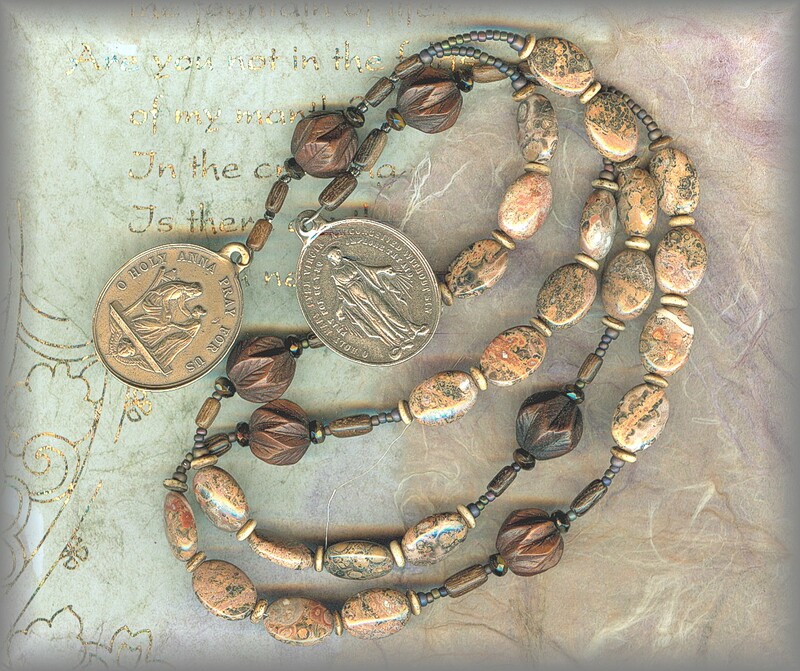 The three chaplets above are inspired from this ancient history. 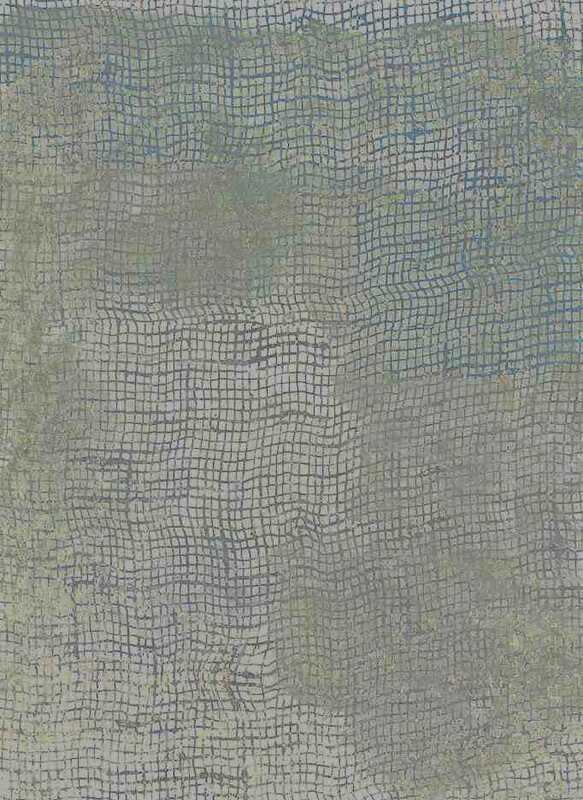 See the link below for more information. 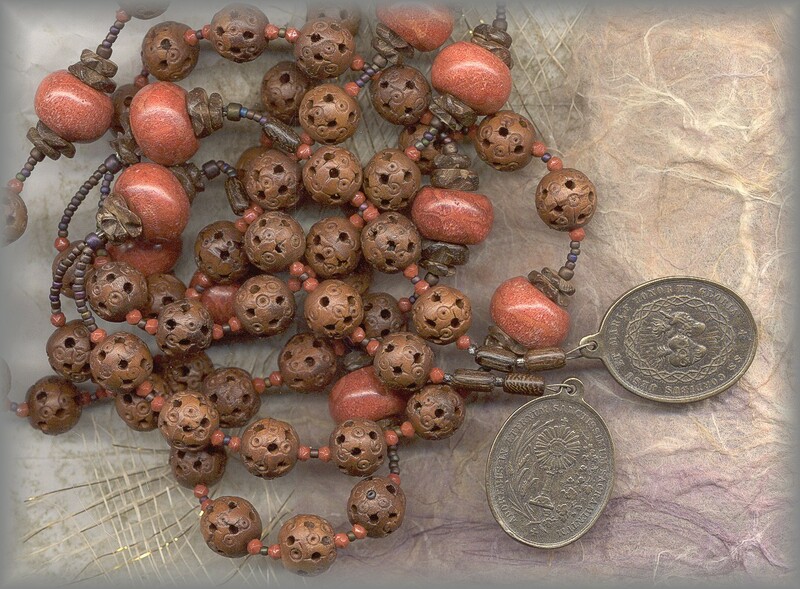 On this page you will find a collection of traditional devotional chaplets used with special prayers/beads directed to the intercession of a favorite or particular saint - it gives us a place to go on a busy day - to pray with a friend - a friend who will intercede for us! Many have been redesigned with new medals! we hope you enjoy learning about them, we did! WHAT IS AN ANGELIC TRISAGION ? 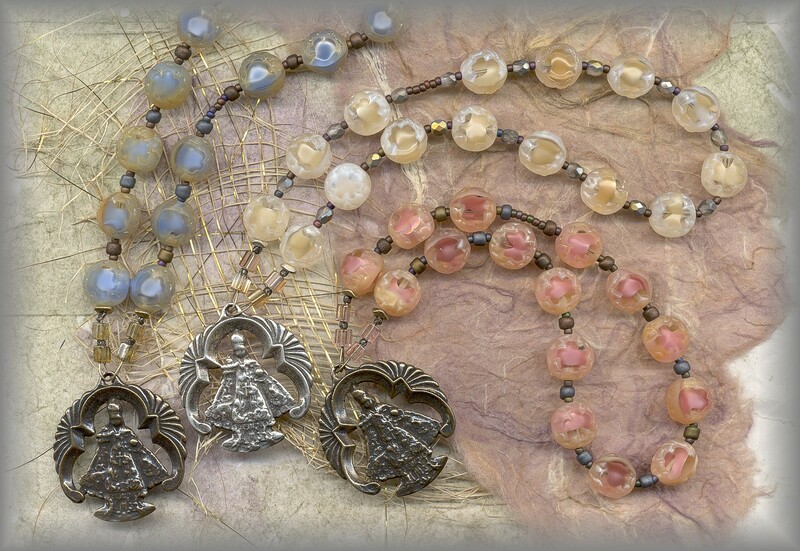 CMD.5741 - (pricing) "ST ANNE / LITTLE MARY"
C5W.5675 - (pricing) "GUARDIAN ANGEL"
UPPER TWO: St Anne, 3 sets of 5 beads, mother of Mary (see all). 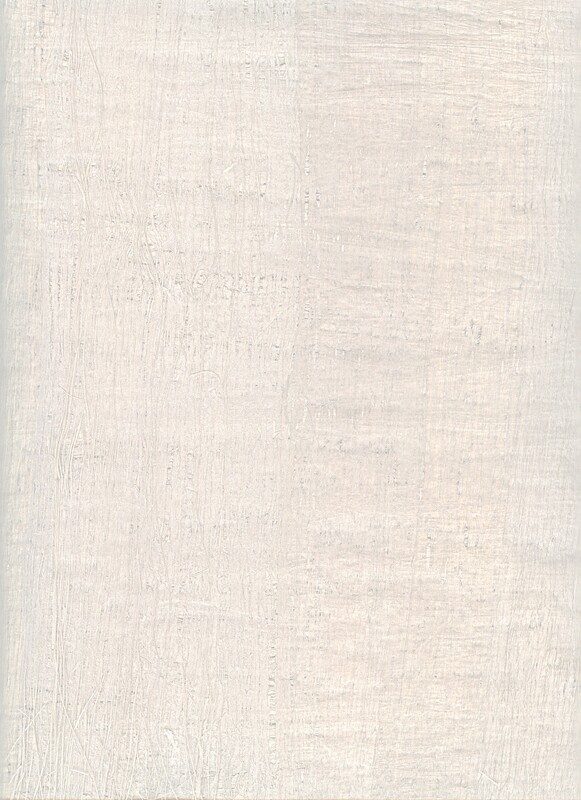 LOWE LEFT: '5 Wounds of Christ (5 sets of 5). LOWER RIGHT: 'Guardian / St Michael Angel(s) (9 sets of 3). to order, click LINK provided. 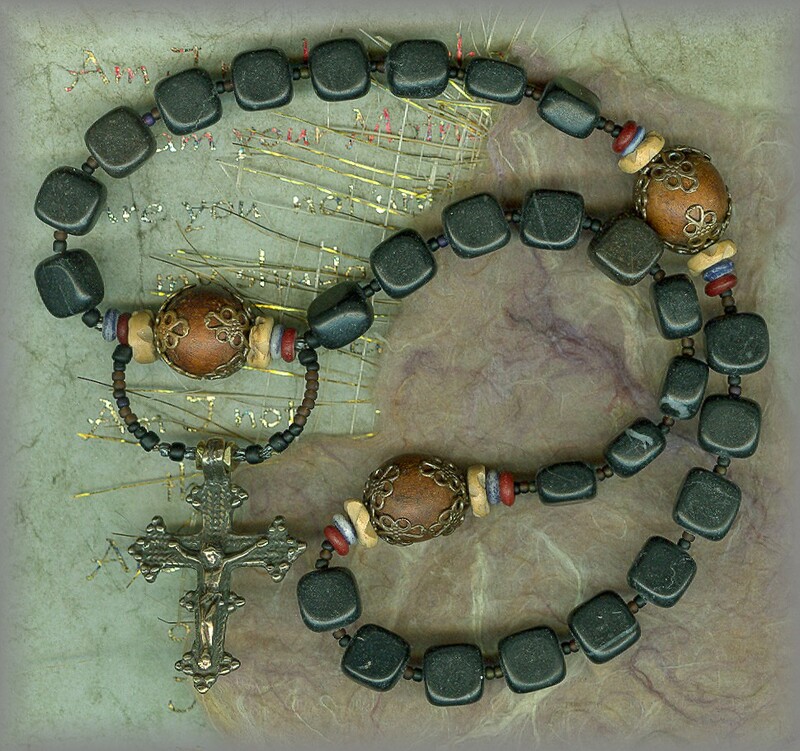 (33 beads for 33 traditional years of Christ's life). LEFT: natural brown wood, RIGHT: rare pressed glass bead in amethyst. 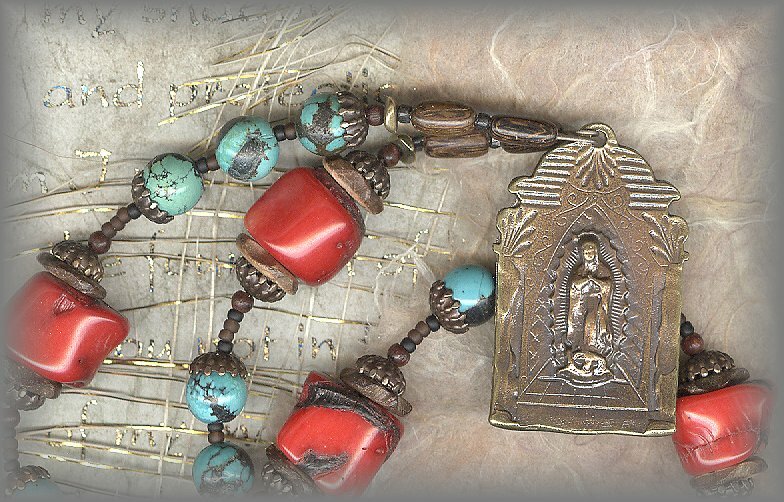 CLGD.51370 - (pricing) "SKY OF TEPEYAC"
LEFT: "Commit Your Way", (17 bead chaplet) Joan of Arc, antique matte blue beads (1930 - 60) RIGHT: "Miracle of Tepeyac III" (4 sets of 3 beads) Our Lady of Guadalupe, turquoise and antique blue beads with coral chunks. 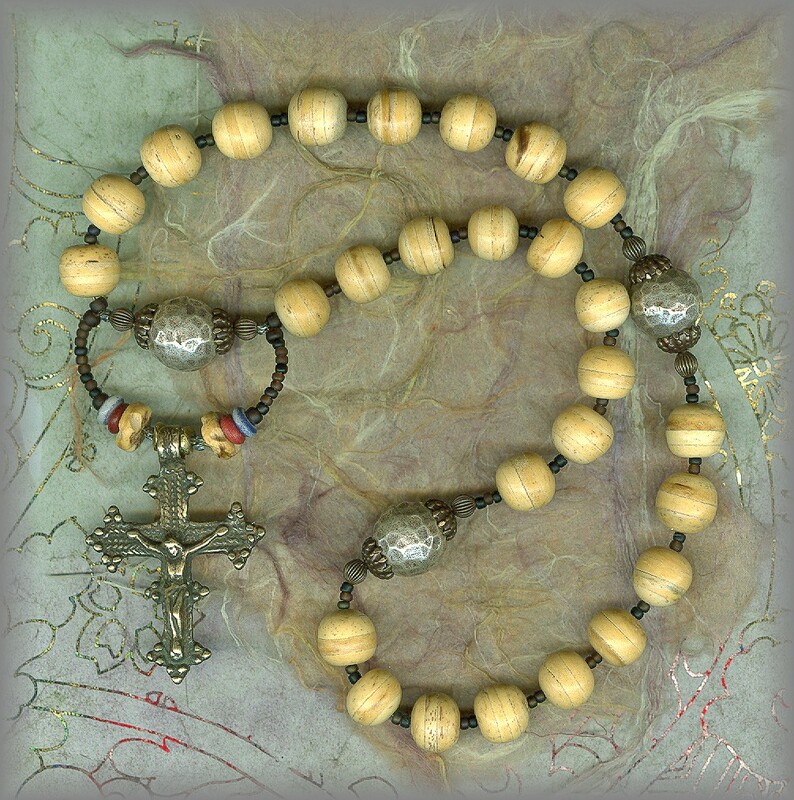 CIPD.5525 - (pricing) "ST JOSEPH CHAPLET"
LEFT: Infant of Prague (15 beads chaplet) Tri Beads, old glass cane. 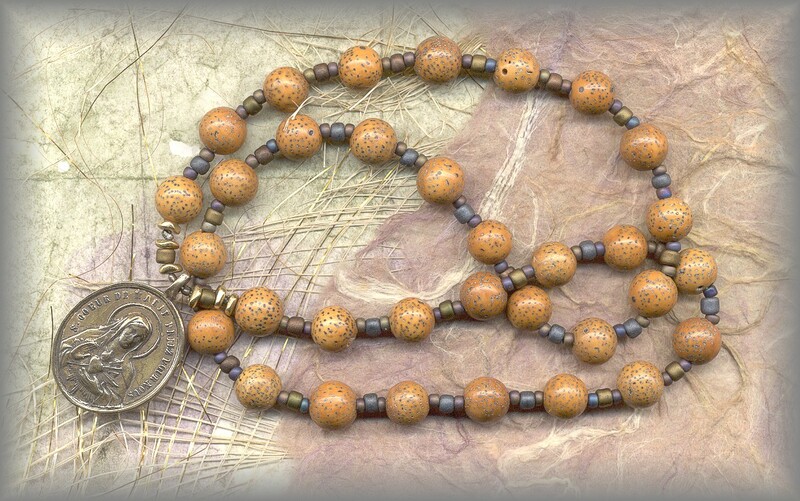 RIGHT: Chaplet of St Joseph ( bead chaplet) Olivewood from Bethlehem with Buri seed. 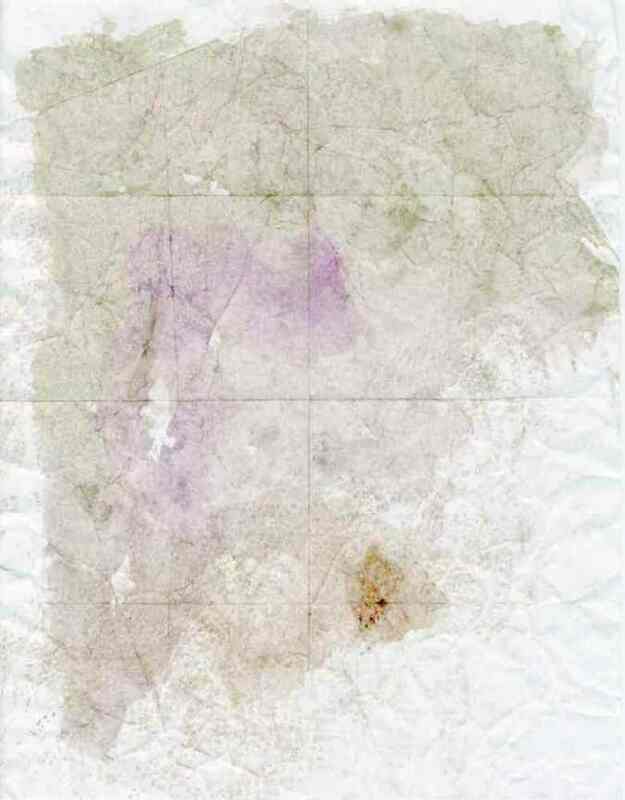 CTL.2021 - (pricing) "GARMENT/THERESE IV"
LEFT: "Heavenly Garden of Therese II and IV" represent two devotions so see both. Variegated pressed glass flower beads with a chunk of pure amethyst! 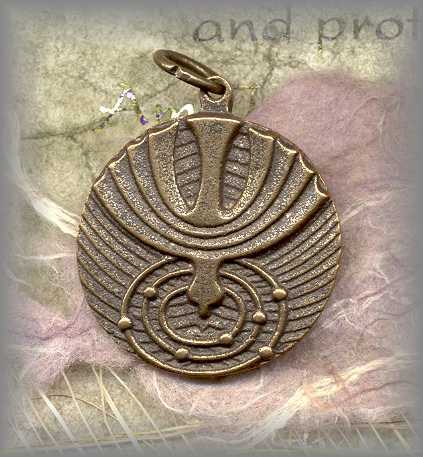 Medal cast from antique is exquisite! 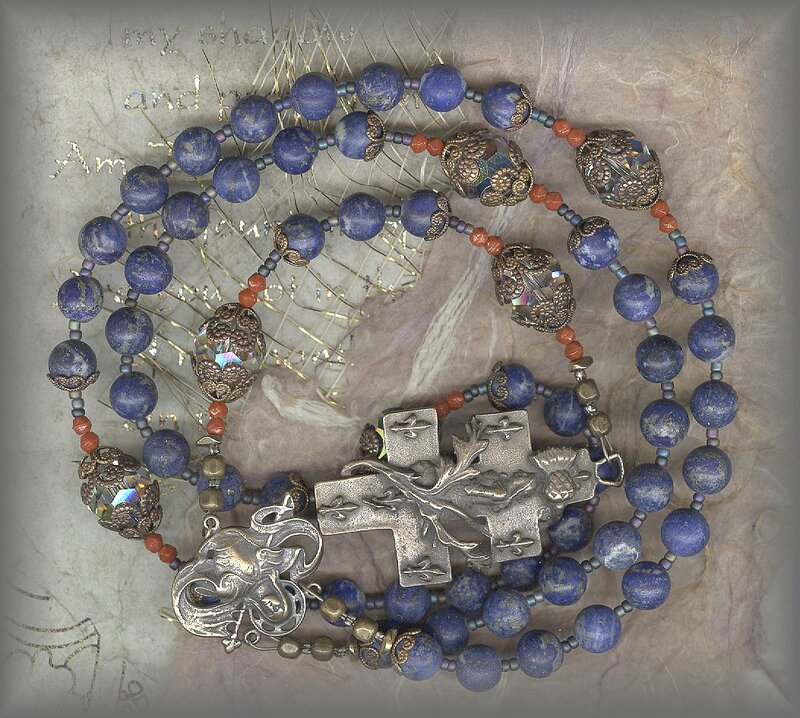 RIGHT: "Garment of Therese II and III" represent the 24 beads / years of her life on earth. 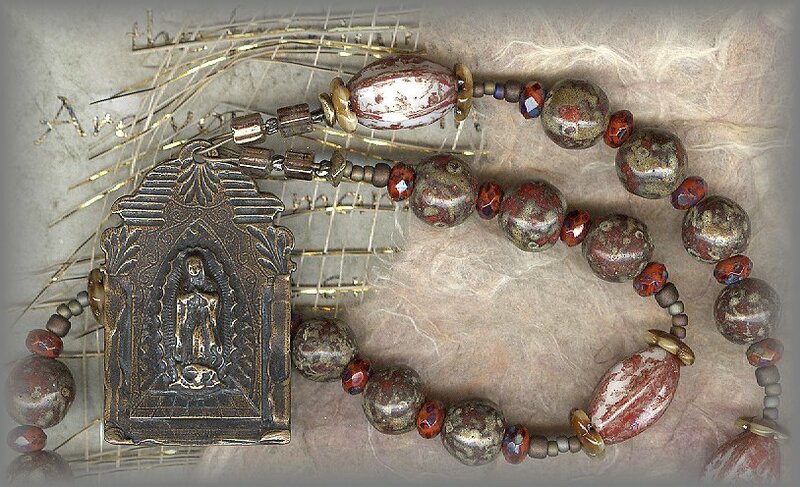 Reflecting the color of her garments and hand pressed rosebud beads (old). Our precious friend, Thérèse of Lisieux (her image) sits above our work table, but sometimes I wonder if she doesn't slip in and make a rosary or two when we are sleeping. She is known for a shower of roses she said she would send from heaven after she died - and that she would be doing much good on earth from heaven. Therese' was 24 when she died. Her 'little way' has brought her the title of 'Doctor of the Church'. 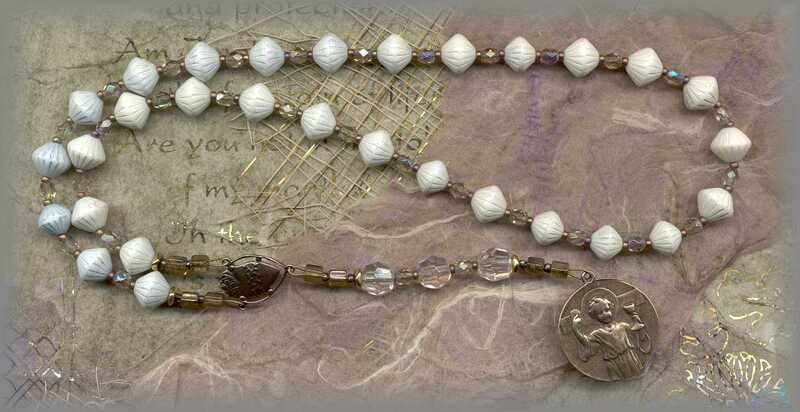 LEFT: St Anthony of Padua, " Saint of Lost Items" (13 sets of 3 beads) woood and glass, see series. 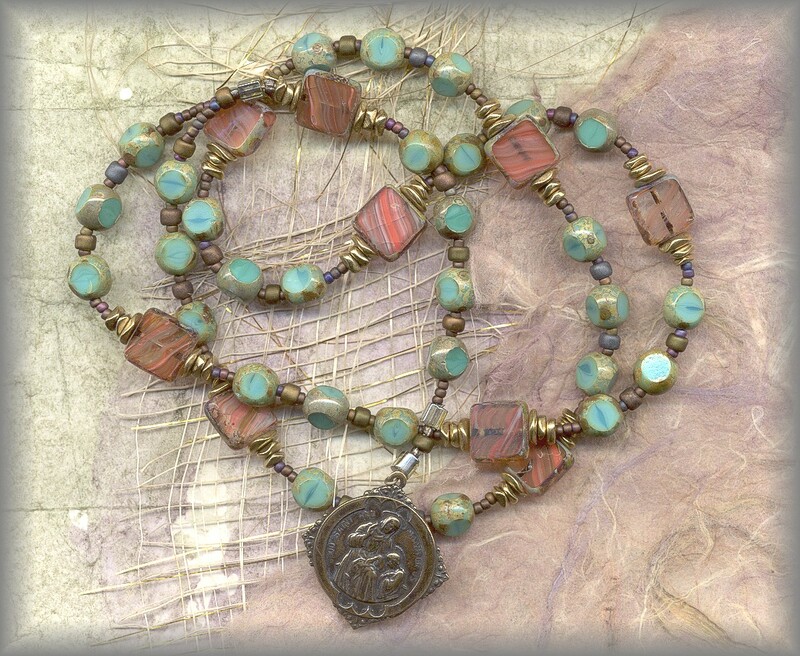 RIGHT: St Jude, "Impossible Situations" (9 beads) - Hand faceted Chrysocolla Stone. 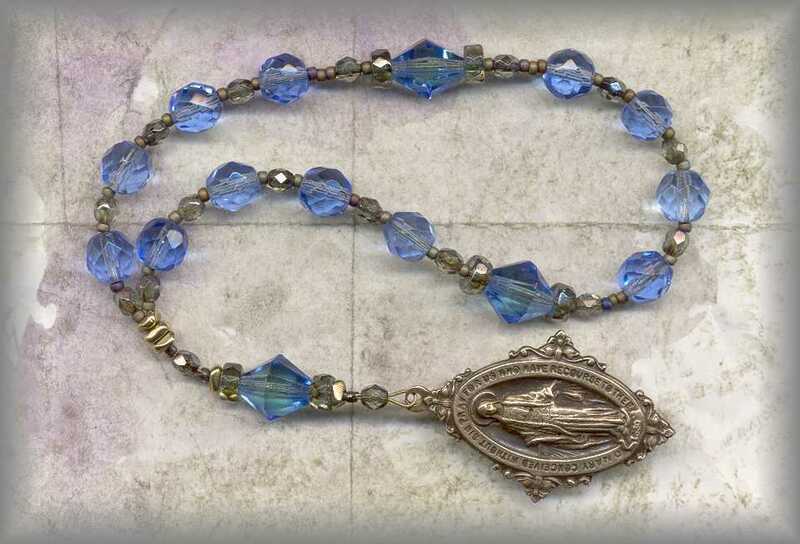 CSPD.5080 - (pricing) "LTTLE CHILD JESUS"
CICD.5220 - (pricing) "HOLY COMMUNION"
LEFT: Chaplet of the Immaculate Conception (3 sets of 4 beads) Antique crystal blue beads with Miraculous Medal. 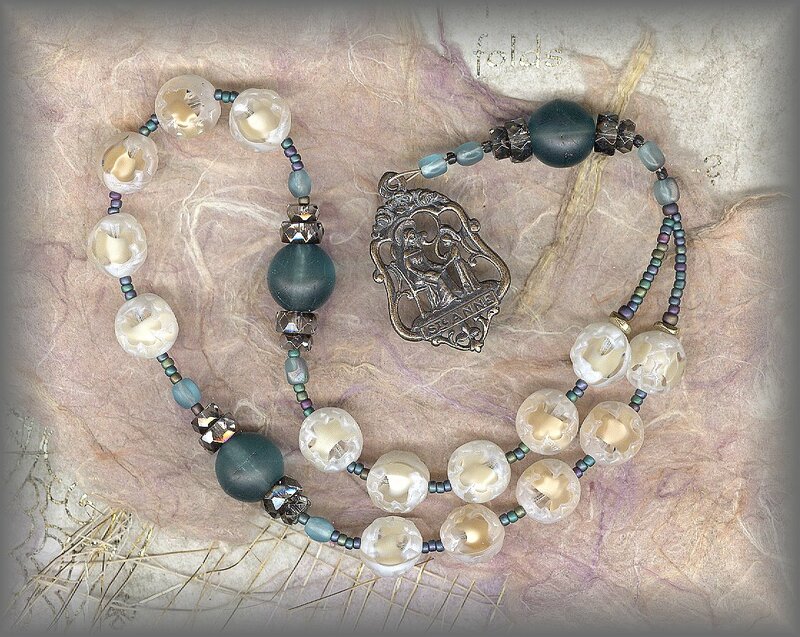 RIGHT: Chaplet of Holy Communion, 'Pray before Mass' (22 bead chaplet) see all three in series. 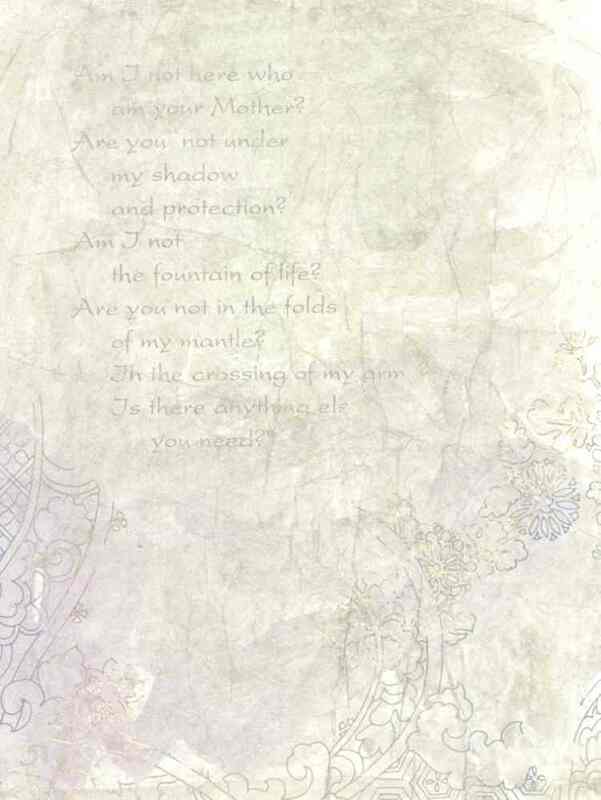 Dedicated to mothers, children, families - very powerful! What is a 9 Day Novena? Read about the first novena in Acts - do you know where and who? 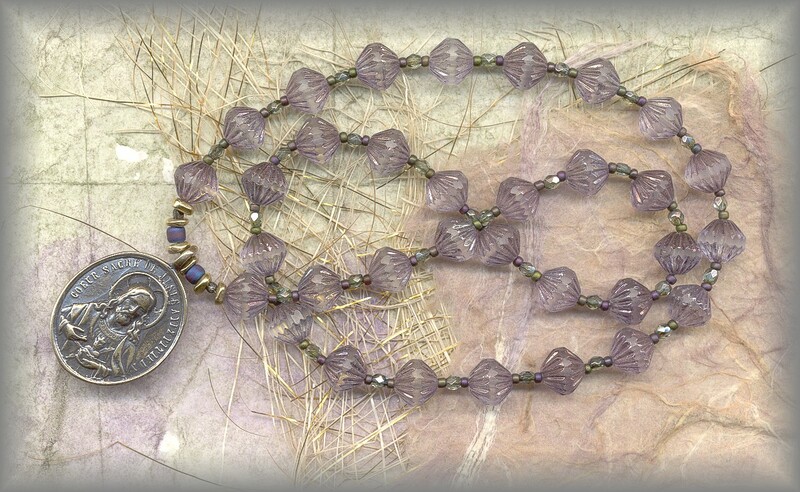 COT.2040 - (pricing) "BRANCH of PEACE"
COT.2041 - (pricing) "SPIRIT of GOD"
3 wonderful medals for this beautiful chaplet. 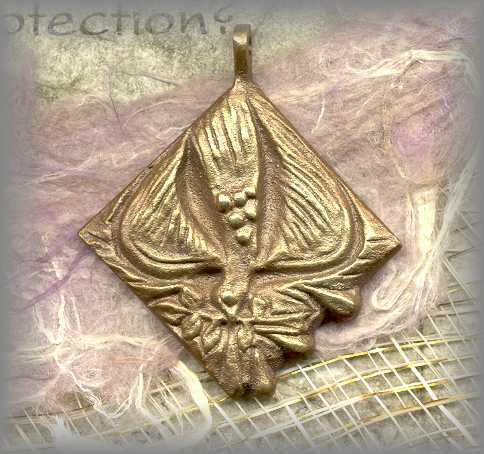 Each in solid bronze and designed by noted Vatican German metal artists. 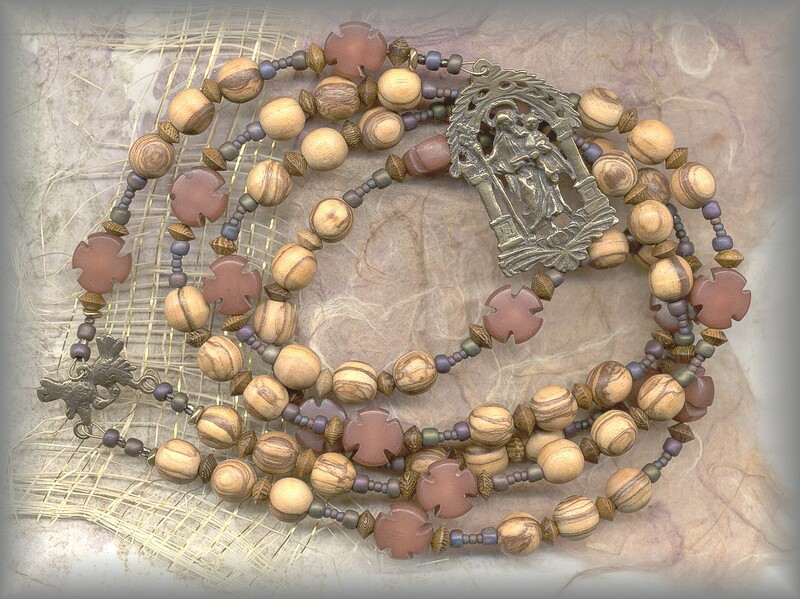 These 7 sets of 3 beads have taken on new life since the reported apparitions of Medjugorje. Here we have named it "JUSTICE of the NATIONS" and added Our Lady of Succor. 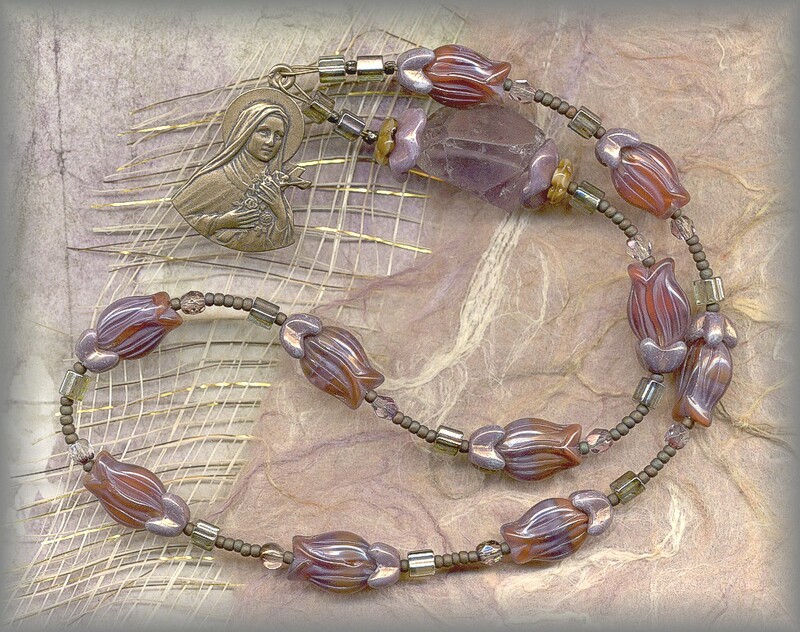 It is a powerful peace chaplet with a long history going back over 100 years. This prayer for peace calls us to 'Let it begin with me'. 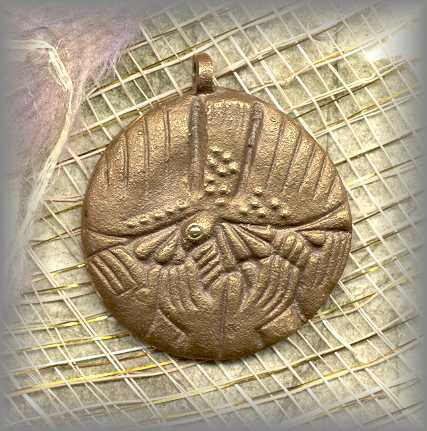 The Pater bead is of 3 fish entwined, hand carved from wood. The Handcast metal is of Our Lady of Prompt Succor (patroness of Louisiana) and dedicated to storms and crisis to our nation. My parish is bringing back some of the old traditions, mostly prayer and how we pray. 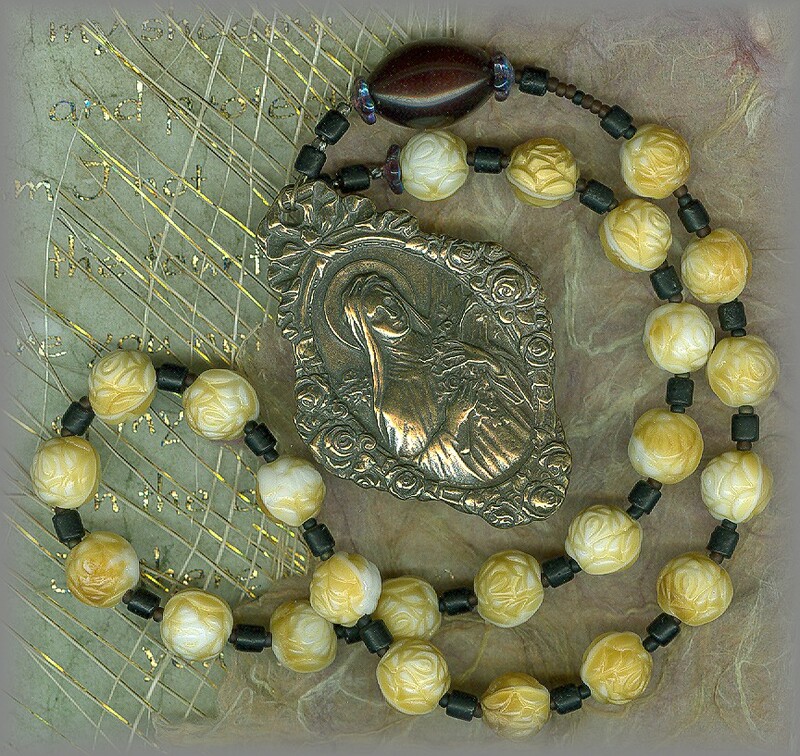 Chaplets are very important part of prayer along with the rosary. 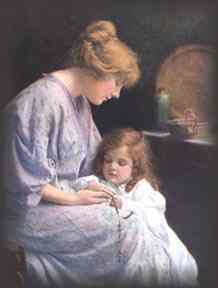 The Blessed Mother stressed in her 25th of each month message is pray, pray, pray, As I have mentioned my illnesses keeps me home bound and what better way to use my time - pray. 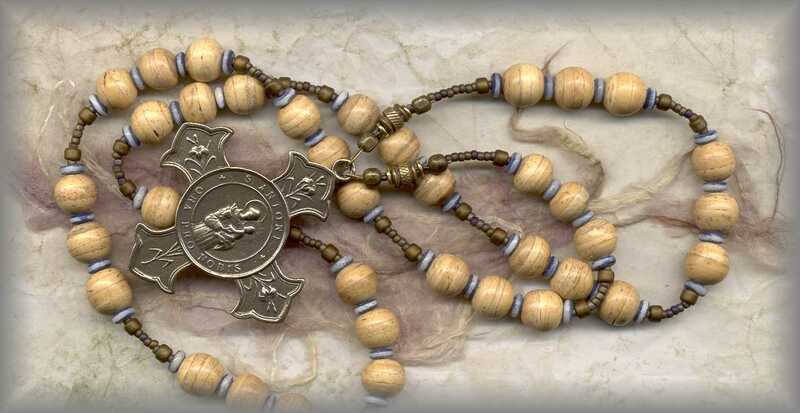 The joy in our hearts and those of hundreds of thousands of others, is , that the rosary and the chaplet are returning to daily prayer life in a very powerful way. Thanks be to God through Mary's encouragement in these last days!